We spotted this guy patrolling along an irrigated ditch on a quiet country road in last weekend looking for a meal. Such a wonderful and beautiful bird and I sure hope to spot a few more this spring just for the fun of it. HI Jude an dI agree. 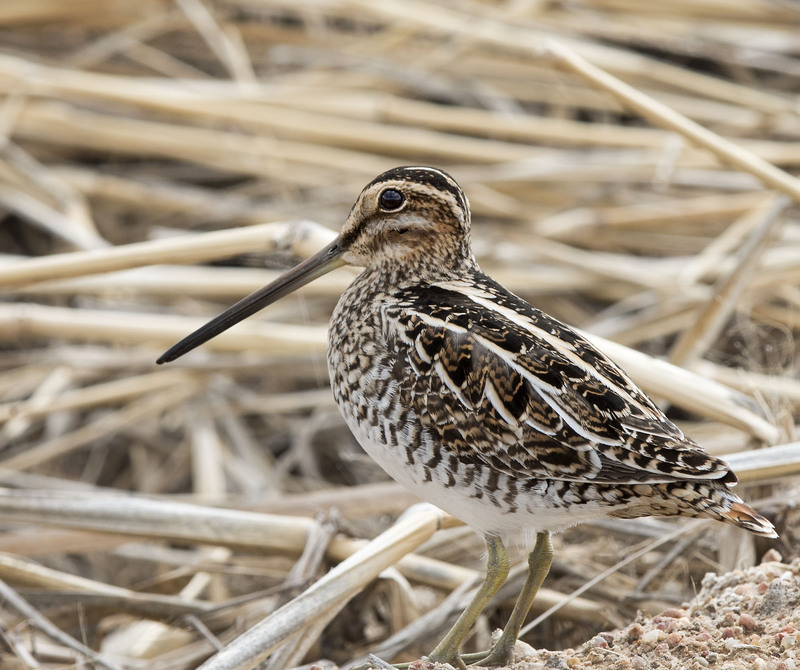 It is always fun to get to study the photos of a Snipe to marvel in those colors and patterns. They are indeed something to behold. Yes, they can blend into the grass quite well. A much needed assets when the Northern Harrier patrols your terrain. Such beautiful plumage and what a short, little tail! These guys are indeed beautiful. Subtle shades of brown and orange.